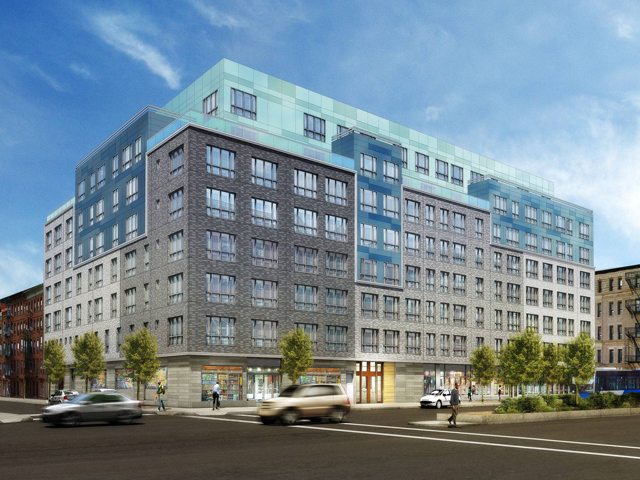 2225 7th Avenue [Harlem+Bespoke]: The eight-story and 115-unit mixed-use building dubbed Lafayette Apartments — and totaling 129,159 square feet — is now receiving its façade, after topping out over the summer. The project is located at 2217-2243 7th Avenue, in Harlem; the building will be equipped with nearly 13,000 square feet of commercial space, and opening is scheduled for 2015. 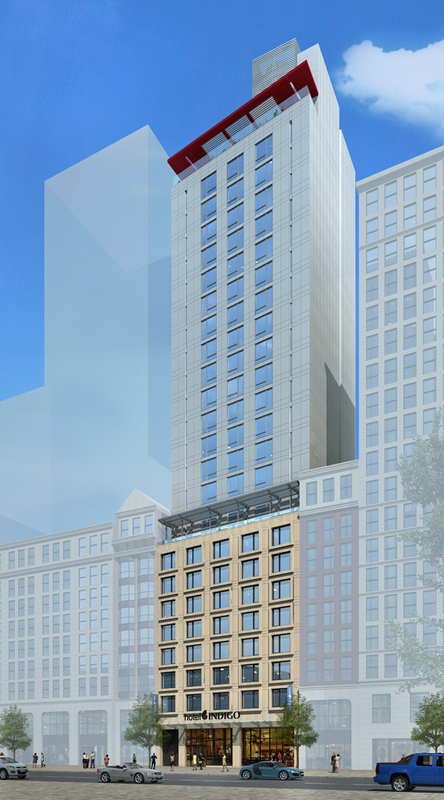 8-12 Maiden Lane: YIMBY had the reveal for the Gene Kaufman-designed Hotel Indigo last month, and now it will break ground tomorrow, according to a press release. 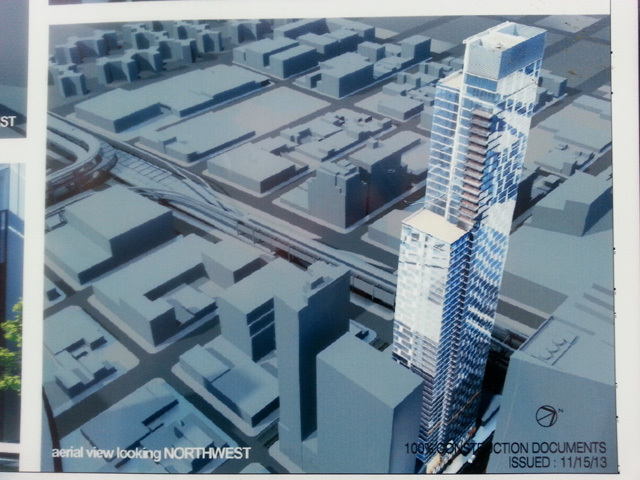 The hotel will reach 24 stories and have 190 rooms with a ground-floor restaurant and rooftop bar. As for the design, “the façade combines old-school masonry, for the bottom third, with sleek, modern glass, for the upper stories,” per the release. LICH Redevelopment [Crain’s New York]: SUNY has reportedly “reached an agreement with the Fortis Property Group” to move onto the redevelopment phase of the LICH complex, in Cobble Hill; NYC Langone Medical Center “will building out 125,000 square feet of space at the site,” and the complex is to be completed by 2018. 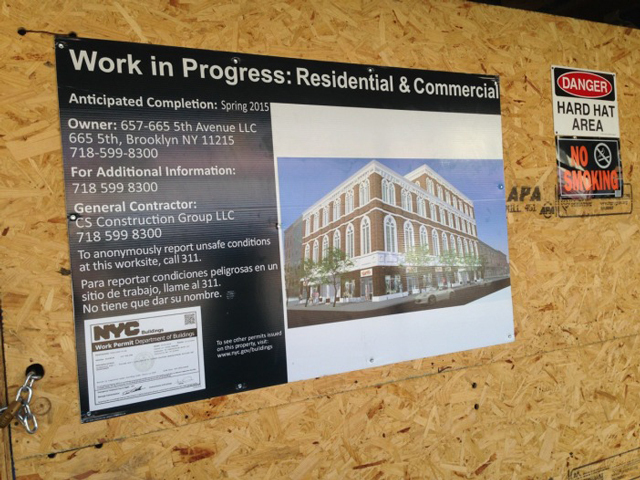 657 5th Avenue [South Slope News]: Three- and four-story brick buildings being renovated and converted at 657 5th Street — in South Slope — have received on-site renderings; the structures will receive new windows and a rejuvenated façade, and completion is set for Spring of 2015. 3 Journal Square [The Jersey Journal]: Developer Hartz Mountain, among others, “are seeking a 30-year tax break” for their planned 13-story and 240-unit residential building at 3 Journal Square, in Jersey City. The building will be constructed on top of an existing parking garage behind 2 Journal Square. 42-12 28th Street [The Court Square Blog]: Foundation work is underway for the 58-story and 477-unit residential building — equipped with ground-floor retail — at 42-12 28th Street, in Long Island City. Heatherwood Communities is developing, Goldstein Hill & West is designing, and completion is targeted for 2017.